BUILD CONFIDENCE AND SKILLS TO BECOME A GREAT PLAYER! WANT TO HOST A COACH?? Get more out of Soccer Camp Week by Hosting a Coach.. Get with Jeff Stiffler. London Soccer is Very excited to announce the 7th annual British Soccer Camp this summer the week of June 26th thru June 30th. Please set these dates aside for the Challenger Soccer Camp. This year’s camp times have been modified to encourage participation and allow for evenings to be freed up for other activities. Camp will start @ 9am and will finish up @ 4:30 daily. The British Soccer Camp will be held at the St Patrick Soccer Complex in the back of the school. This Soccer Camp is for soccer athletes aged 6 – 18 yrs old, does not matter where you live. Camp times are: Half Day camp- 9a-noon or 1:30p to 4:30p at $144 for the week for either session. Full day camp- 9a-noon; 1:30p-4:30p @ $197 for the week. We will stay and eat lunch in the back (bring a bagged lunch). All 9-18 yr old players will be put in Advanced programs (unless requested for basic). All 6-9 yr olds have the option of Advanced or Basic instruction. Five days of training up to 30 Hours for the week at a great price and here in London. The goal for the British Soccer Camp is focus on game-related techniques, tactical, development. Creating World Cup teams for match play. Focus is on developing Agility, Balance, and Coordination. Drills for learning to Turn, Fake and Beat your opponents. Skills in Juggling, Touch & Controlling the ball and many other skills to help you build Confidence and become a Stronger player. Each Camper will receive a Challenger T-shirt and Soccer Ball. Each Camper who registers Online before MAY 12th will receive a FREE Challenger British Soccer Jersey. Please visit www.londonsoccer.org or www.facebook.com/Londonsoccer for information and Registration link or call Jeff Stiffler at 740-852-5540. Registration deadline is June 16th!!. tab here to go to the Registration Page!!! London Soccer is Very excited to announce the 6th annual British Soccer Camp this summer the week of June 13th through June 17th. This year’s camp times have been modified to encourage participation and allow for evenings to be freed up for other activities. Camp times are: Half Day camp- 9a-noon or 1:30p to 4:30p at $140 for the week for either session. Full day camp- 9a-noon; 1:30p-4:30p @ $192 for the week. We will stay and eat lunch in the back (bring a bagged lunch). 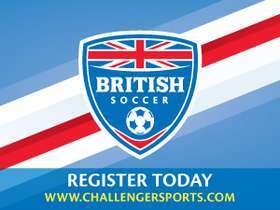 Each Camper who registers Online before April 29th will receive a FREE Challenger British Soccer Jersey. April 29th Jersey deadline is approaching fast. Register Now for this Summer's Soccer Camp ! 2015 CHALLENGER SOCCER CAMP IS SET FOR the WEEK OF JUNE 29th!! London Area Soccer is pleased to announce another year of partnership with Challenger Sports, providers of the USA’s most popular soccer camp, to host the week long British Soccer camp during the week of June: 6/29/2015 – 7/03/2015 at St.Patricks School Soccer Fields. The camp will run Monday through Friday and each child will be coached by a member of Challenger’s British coaching staff flown to the USA exclusively to work on these programs. Challenger will hold over 3,900 British Soccer Camps this summer and will coach over 150,000 players between the ages of 3 and 18, as well as completing FREE coach education clinics for over 30,000 parents and coaches. Challenger’s British Soccer Camp is more than a week of drills and skills. In addition to taking part in a daily regimen of foot skill development (through the 1,000 touches curriculum), technical and tactical practices and daily ‘World Cup’ tournament style plays, each child will be treated to a rich cultural experience and lessons on respect, responsibility, integrity, leadership and sportsmanship. Each camp is custom built to meet the needs of your players so Challenger will be directed by the organization on the content of the camp that they too require. Each camper will receive a FREE camp T-shirt, soccer ball, soccer poster, individual skills performance evaluation and free access to an educational soccer website. In addition, any child who signs up online by 6/5/2015 will receive a genuine British Soccer replica Jersey valued at $40. For further information please visit www.challengersports.com. Host Families are needed for hosting a Coach for the Camp Week !!! I am very excited to bring back the BRITISH SOCCER CAMPS / Challenger Sports Camps to London / Madison County for the 6th year. The past 5 years have been such a success and plan to do it again this year. 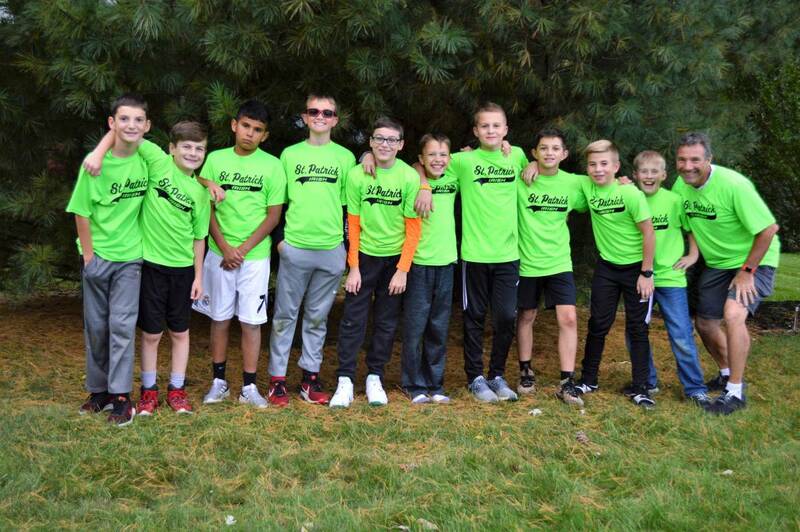 I beleive it will continue to be great for the local soccer players without having to travel to other areas around Columbus, or other colleges for crowded camps. The individual attention will be much more beneficial to the soccer player at this camp. The camp will be at St Patrick school in London. I hope to continue to make this an annual event for Madison County Soccer Players. Choose from a 1/2 Day Camp or the Full Day Camp. Times for the Camp are 9 to noon and 3 - 6p. Full Day Camp consist of both times and a 3 hour break in between. Half Day would be one of the above times.